The “Bostalsee“ is the largest lake in southwest Germany, offering numerous activities on and beside the water. 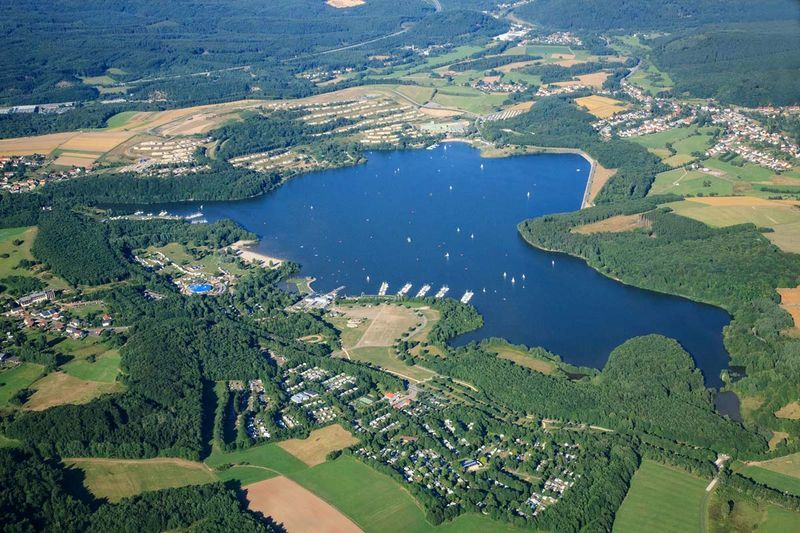 Since wind conditions are very good here, just as is the general infrastructure, the Bostalsee is perfect for sailing and windsurfing. The local harbour has 190 water and 120 land moorings. Regattas take place regularly. The Saarland Yachting School in the “Eckelhauser Bucht“ bay (phone 0049 (0)681 3879222) as well as the S.A.L.T. Sailing School (phone 0049 (0)800 9670796) in the local harbour offer different sailing courses in regular intervals. 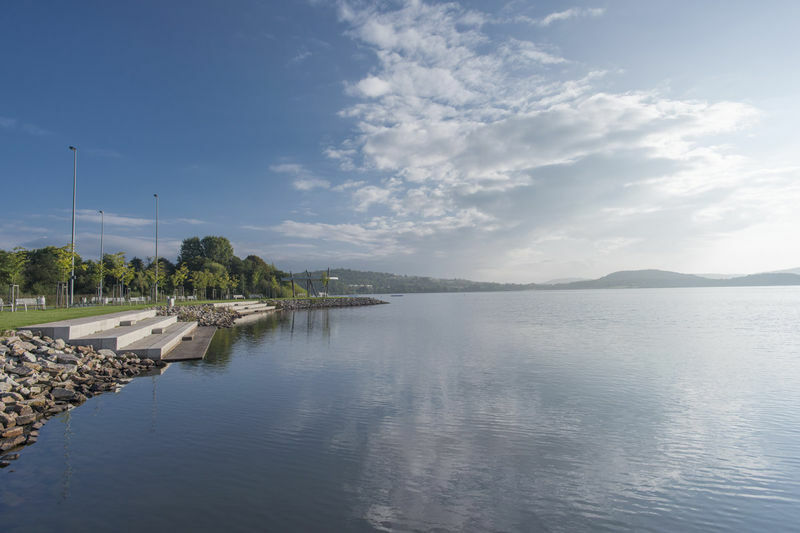 The windsurfing base is located on the lake shore in Gonnesweiler including 15 storage spaces for surfboards. Further locations to store surfboards are available in the area. Windsurfing is only possible with a basic windsurfing licence. 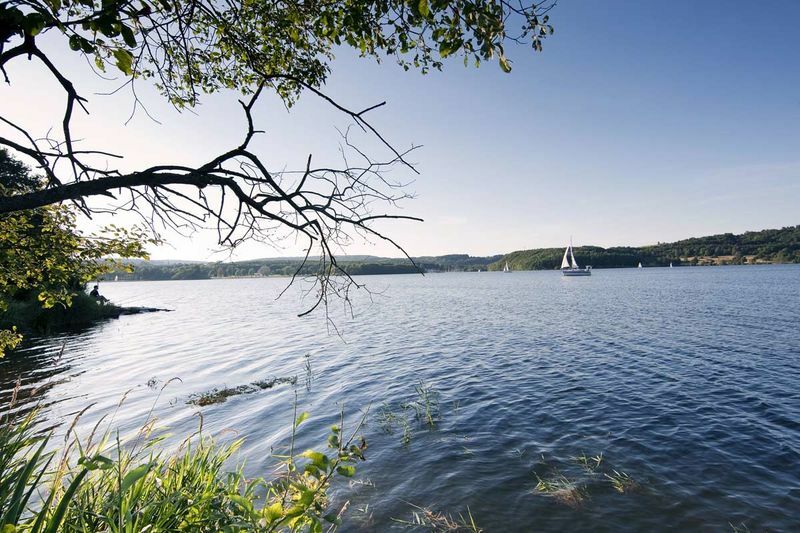 Because of the good quality of the water and the large amount of fish, the Bostalsee is a popular fishing lake. Lake, brown or rainbow trout, arctic char, pikeperche, pickerel, eel, carp, tench, roach, catfish, berch or burbot. Do you want us to continue? They are all cavorting in the Bostalsee. Fishing is possible from different zones from the shore or from pedal or rowing boats.